ST GEORGE’S - In 2004, when the Category 4 hurricane Ivan hit the tiny island nation of Grenada and its 151 mph winds stalled overhead for 15 hours, it devastated the country. But not before pummelling Barbados and other islands, killing at least 15 people. 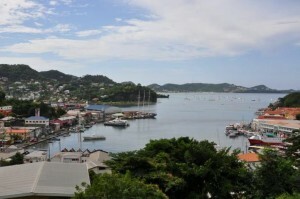 Grenada is among ten Caribbean countries getting help from the Global Environment Facility (GEF) to address water, land and biodiversity resource management as well as climate change. In addition to Grenada, Antigua and Barbuda, Barbados, Cuba, Dominican Republic, Jamaica, St Kitts and Nevis, Saint Lucia, St Vincent and the Grenadines, and Trinidad and Tobago, are also participating in the project, which also aims to strengthen policy, legislative and institutional reforms and capacity building. Half of the ten countries — Antigua and Barbuda, Grenada, St Kitts and Nevis, Saint Lucia, and St Vincent and the Grenadines — belong to the sub-regional grouping, the Organisation of Eastern Caribbean States (OECS). Their participation in the project is being funded by the GEF to the tune of US$20 million. IWEco is being co-implemented by United Nations Environment and the UN Development Programme and co-executed by UN Environment’s Caribbean Regional Coordinating Unit (UN Environment CAR RCU), which is the Secretariat to the Convention for the Protection and Development of the Marine Environment of the Wider Caribbean Region (the Cartagena Convention). Addressing these challenges, while improving social and ecological resilience to the impacts of climate change, are objectives of the IWEco Project. At a recent meeting in Montserrat, the regional coordinator of the Cartagena Convention, Dr Lorna Inniss, noted that since the particularly destructive hurricane season of 2017, perhaps even as a consequence of it, the trend in the region towards consolidating several related areas of responsibility into single ministries seems to have grown.